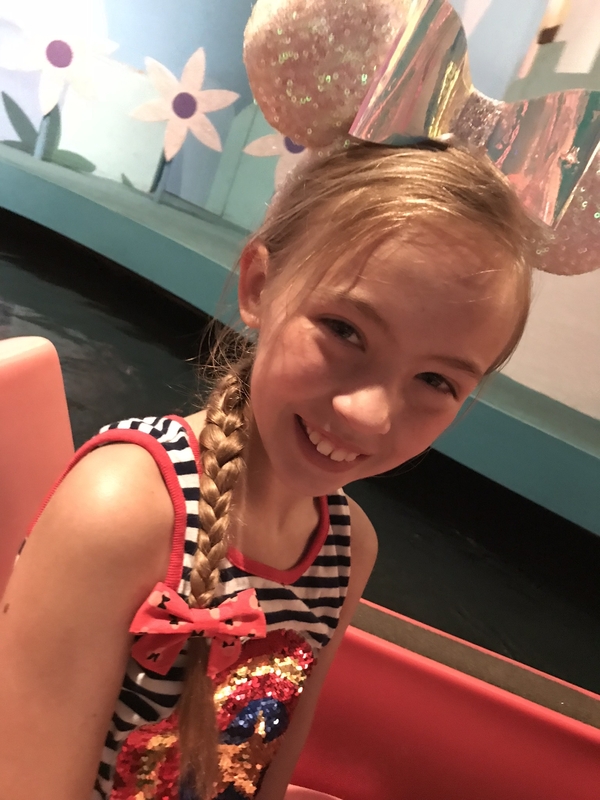 So naturally when any self-respecting, Disney-loving girl heads to a Disney Park, or just wants to embrace her DisneySide on a normal day around the Clubhouse, she absolutely must have the proper fashion accessory – a Disney bow! If you’re looking for just the right bow, look no further than Little Heron Co. 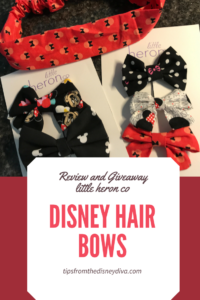 I was recently pixie-dusted with the chance to receive a few of these bows in exchange for my honest review. 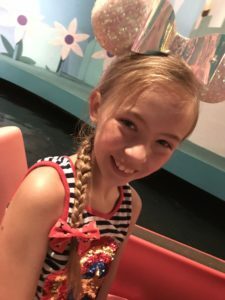 The timing was absolutely perfect because we had a trip planned with the grandkids, and my 10-year-old granddaughter, Grace, was excited to serve as a model. 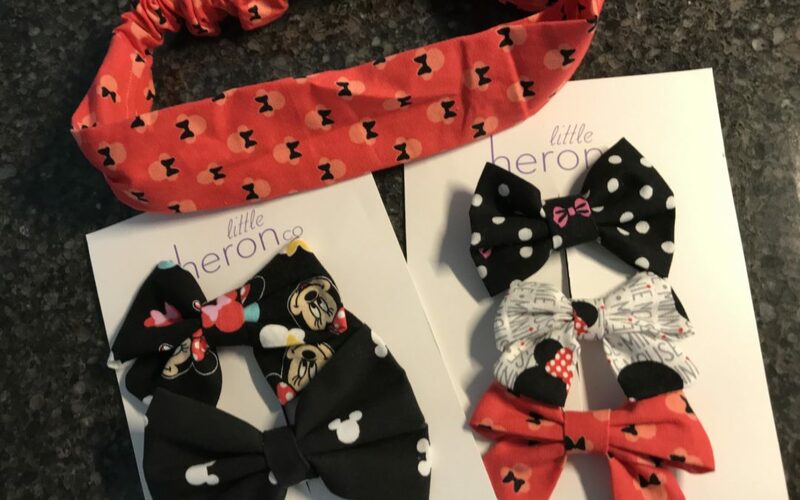 Little Heron offers several sizes and styles of bows. “Classic” bows, which are essentially just the bow (no “tail”) come in 3 sizes to accommodate girls of all ages. “Sailor” bows, which have a slight tail, are available in 2 different sizes. They also offer “schoolgirl” bows which have a tail but are a little narrower. And relatively new to the shop are adult sized headbands. They were kind enough to send us an assortment – we received an adult headband, 2 mini sailor bows, a large sailor bow, a large classic, and a medium classic. Talk about some major pixie-dust! The first thing we (well, I) noticed about the bows was the quality fabric and craftsmanship. It is durable, ready to take on whatever adventure your little Minnie may be planning. Sometimes we’ve had bows which are so flimsy they last for about one outing, then begin to rip or fray. These bows aren’t like that! The first thing Grace noticed about the bows was the adorable prints! They definitely all had a Disney flair, but they didn’t “scream” Disney. You could easily wear these bows anywhere! My husband even remarked some of them were almost like wearing your very own hidden Mickey! My favorite was the black with white polka dots and a bright pink Minnie bow printed right at the knot of the bow. It was unmistakably Minnie-inspired, yet neutral enough to accessorize any outfit. Honestly, all the fabrics were simply fun and fabulous! Another aspect of the bows from Little Heron that I love are the clips used. They are alligator style, so they will stay in place even on the littlest Minnie’s with very fine hair. My youngest granddaughter just turned 2, and still has her baby-fine hair. I put one of the sailor mini bows in her hair, and it stayed in place all day! Quite a testament to the steadfastness of these bows if you’ve ever met a rambunctious two-year-old! 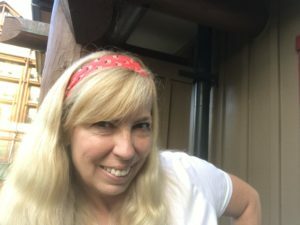 The adult headband was a wonderful surprise! 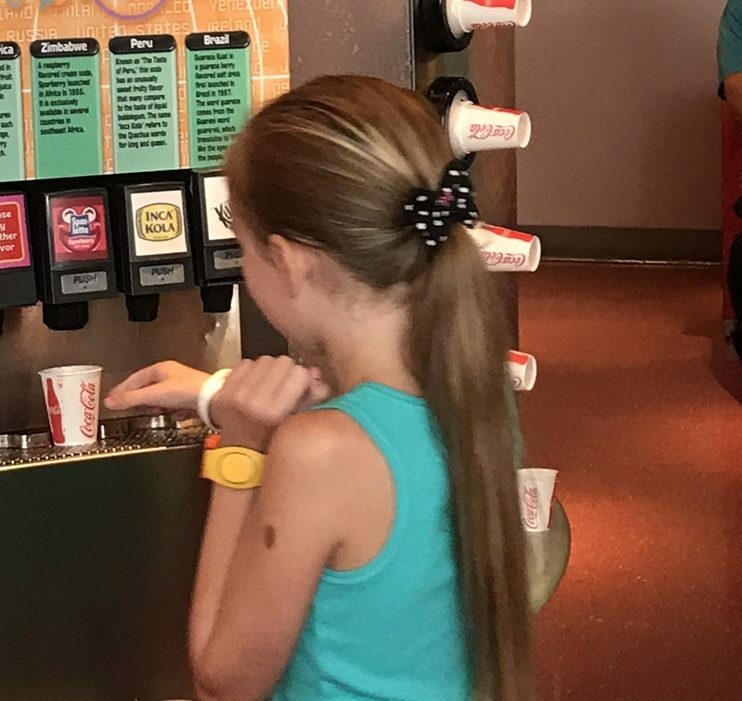 Given the hot, muggy days in Florida, it’s essential to keep my hair off my neck. I typically put it up somehow but being able to use the headband was a wonderful option! 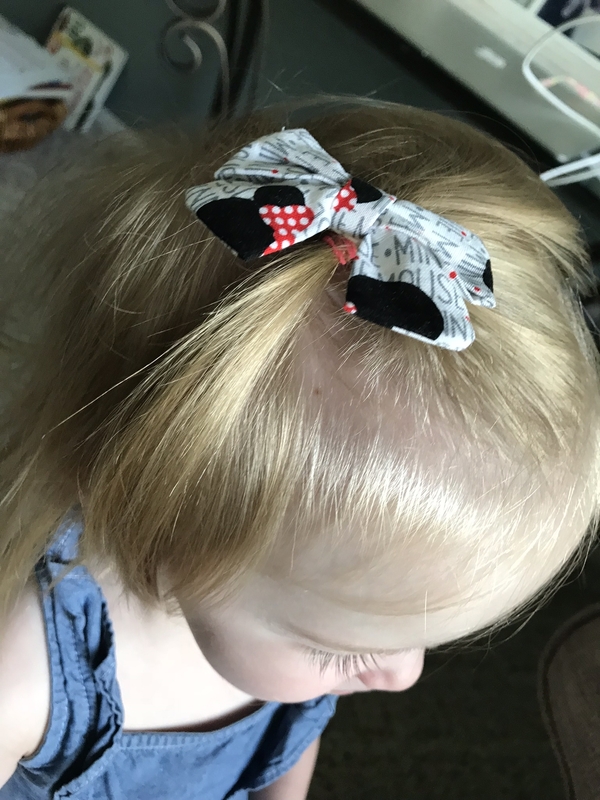 It was a fun red with tiny Minnie bows printed on it and had an elastic back to provide the perfect fit. One of the bows for my granddaughter was made of the same fabric, which allowed us to have matching accessories! The final point I want to make about these bows is how affordable they are! If you shop at boutiques or craft fairs and see the price of quality, hand-made items, you sometimes have sticker shock. These bows are absolutely priced so you can order several and always have your choice of the perfect accessory to fit any occasion. To find quality, hand-made products at such a reasonable price point is truly magical! But, as affordable as the bows from Little Heron are, it’s even better when you can WIN! Little Heron has graciously offered to give one lucky winner some bows of their own! You just have to follow the rules and enter below. To keep track of the entries we use Rafflecopter, entering using the widget below. Make sure you LIKE each of the Facebook/Social Media pages for your entry to count, not just visit. All entries will be verified. 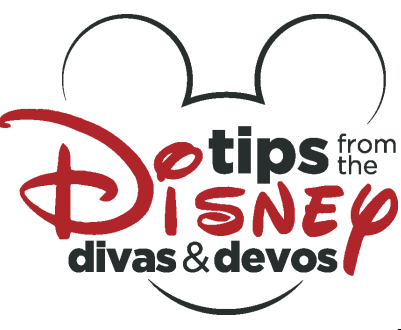 You MUST the social media pages of Tips from the Disney Diva and Little Heron Co. The winner will be notified by email and have 48 hours to respond. If the winner does not respond within 48 hours another winner will be chosen. Make sure you like the Facebook pages for your entries to count! Good Luck! Disney Diva Disclaimer: Little Heron Co. provided the bows and head for free in exchange for my review. Little Heron Co. has also agreed to provide complimentary bows for one lucky winner in our giveaway. Although we were provided with these products, my opinions are 100% my own and are not biased or influenced in any way. AOS Design Lets You Enjoy Disney’s “Pick A Pearl” Experience at Home! Review & Giveaway! The bows are all so cute! I’d like to win the Mickey Mouse bow. Those are super cute! They’d look great on my 2 girls for our next trip. the denim dreams bow is really cute! The shop is closed, but I like their Slice of Summer bow and their stars galore bow! The shop was closed, however I have seen the peony bow from the reviews and I would love to win that one as it is so simple yet pretty.